Illinois high school baseball has a new member in the 500 club. 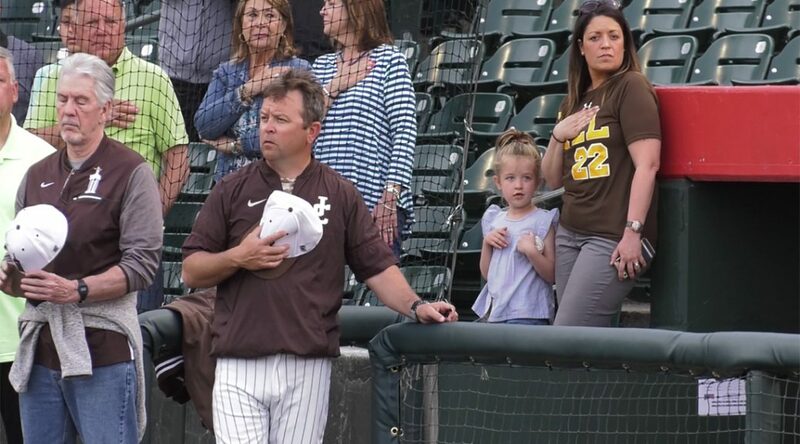 Joliet Catholic Academy’s Head Baseball Coach Jared Voss just got win number 500 in a unique way. Coach Voss, an alumnus of JCA, is looking to make another run at the state title and at this point their chances are pretty solid to do so. Before the latest game against Marist High School, Voss was honored with a pregame ceremony and announcement that a commemorative plaque will be made to honor his achievement.